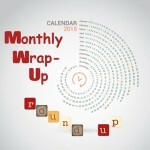 It’s time for the October Wrap-Up Round-Up! 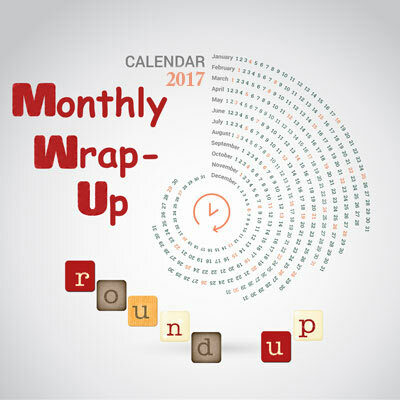 First of all, I have to apologize that I just finally got around to reading all of the September wrap-up posts. Um, running just a little bit late! This past week, I posted my first dual review for the Make Me Read It Giveaway (which I’ve been doing for the giveaway for this event). It was so much fun to review Dreamland Burning with AJ @ Read All the Things! Click the link to read the review, if you haven’t seen it yet. For September, the winner was Danielle H., and we’re going to be reading The Sky Is Everywhere by Jandy Nelson. Watch for that dual review coming in November or early December. Then, one week later, I’ll create a giveaway that encourages people to visit YOUR month end wrap-ups, giving entries for commenting and/or sharing. Some months, I’ll also turn it into a fun scavenger hunt type game by allowing Random.org to choose some of the posts and creating specific giveaway entries for those posts (for instance, I might ask, “What was so-and-so’s favorite book she read in July?” or something similar). I figure this will be a fun way to engage people in our monthly happenings! The October giveaway will be hosted right here on Feed Your Fiction Addiction. Look for it around November 7th.